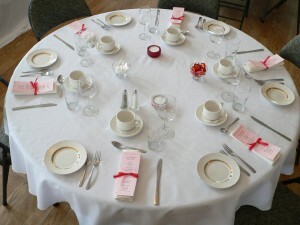 St John's offers ideal space for up to 120 people for meetings, banquets or receptions. 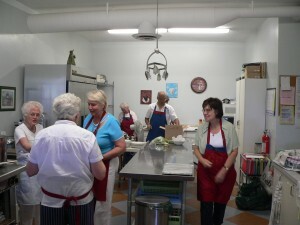 Situated within easy distance of west-end Ottawa, the church hall is in a semi-rural setting on a historic church property - a good location for relaxed discussion and getting in touch with nature. The hall is particularly well-suited for daytime meetings and retreats, but can also accommodate evening meetings and festivities. The main hall and the break-out rooms can be configured for a variety of events. A wide range of catering is available. You can even make use of our indoor and outdoor labyrinths: we can provide a facilitator to guide you. Please note: we want our hall to benefit our neighbours. We invite community service and charitable organizations to call us to discuss modified rental arrangements. 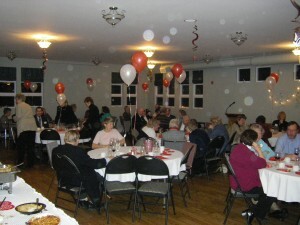 St Mary's offers a small hall in a quiet rural setting with a maximum seating capacity of 56 people. It is equipped with a small galley kitchen, tables, chairs. Plates, cups, and cutlery are also available, as are warming trays. The location is ideal for small meetings, receptions and day retreats. Rental fees vary according to the event but are reasonably priced. Our main goal is to serve the community and cover our costs. Light catering is available on request. 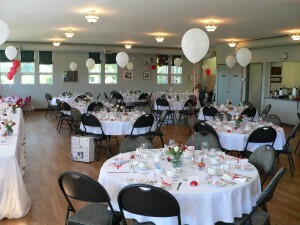 St Paul's offers a small carpeted 20' x 40' hall, in a quiet rural setting, with a seating capacity of 60 to 75 people. It is equipped with tables, chairs, and a full kitchen. Plates, cups, and cutlery are also available. The location is ideal for small meetings, training sessions, receptions and day retreats. Rental fees vary according to the event, but are reasonably priced. Our main goal is to serve the community and cover our costs. Light catering is available on request.